Craig Widdison will supply one runner in the form of Cash Crisis to the Wangaratta turf club meeting on Tuesday, September 19 with nine events to be run under fine conditions, the track is currently rated a good (4). Race 7 all host the single Widdison entrant in the John Duncan Memorial BM 64 handicap over thousand metres with the runner to resume from a spell with Ms Chelsea MacFarlane aboard jumping from barrier 10 in a field of 11. Cash Crisis is a four-year-old Bay gelding, a winner of two from three outings earning prize money of $24,000. He resumed with a Wodonga barrier trial over 800m finishing first of seven in that heat win ridden by Nick Souquet arrived 0.30 lengths in advance of Savaju in a time of 47.56. 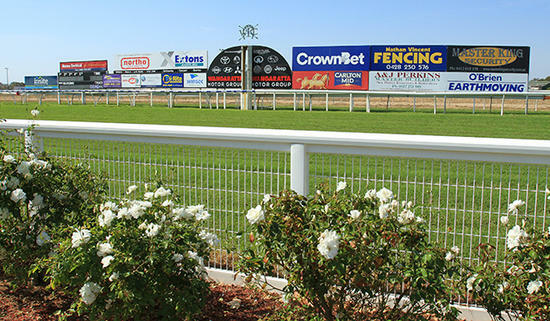 Best of luck to all connected at Wangaratta on Tuesday.